For those looking to party up on NYE. These are our top picks for having a great time while drinking, eating and dancing and say farewell to year 2013. Tickets include and array of options, from live music and toasts to VIP seating with city view and upscale dinner menu. Features: 5 ballrooms of live music and access to premium seating with panoramic view of DC. Come on out to the best Latin night in the Maryland area. Features: 2 dance floors and open bar up to 4 hours. 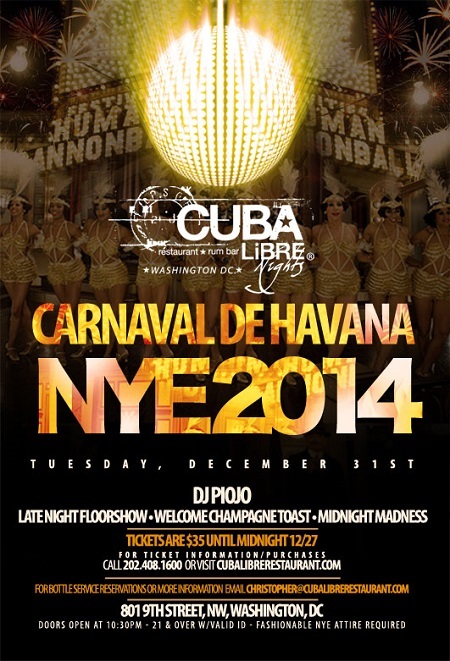 Come out and experience a little bit of Cuban flavor. Dress classy and be ready to show off those salsa moves! 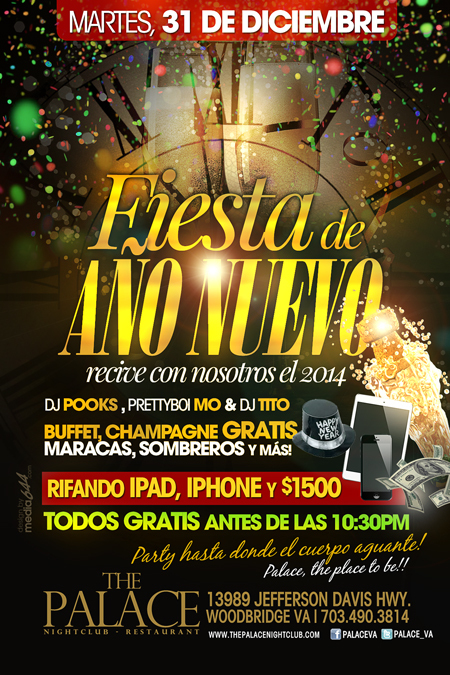 Features: Music by DJ Piojo (El Zol 107.9 FM) and premium bottle service. Last but not least. 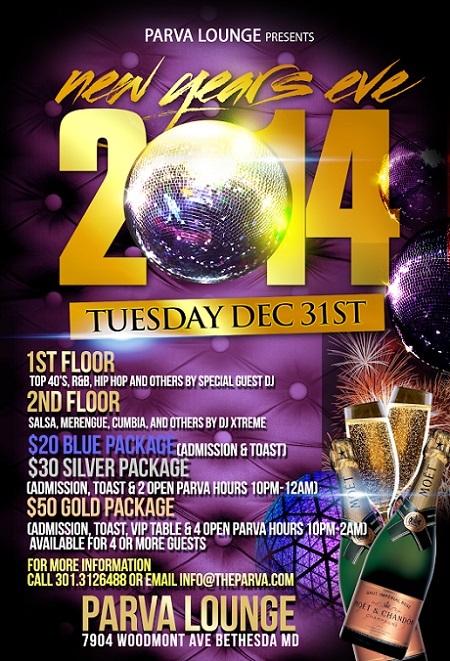 One of the top concert venues in the DMV gets ready to have the most epic NYE Party to date! Features: 2 DJs, special giveaways including cash, iPhone and an iPad! Free admission before 10:30 pm!